Meet at port and leave for Ephesus, the veritable cradle of early Christianity. Visit the Shrine of The Virgin Mary where she supposedly spent her later days. 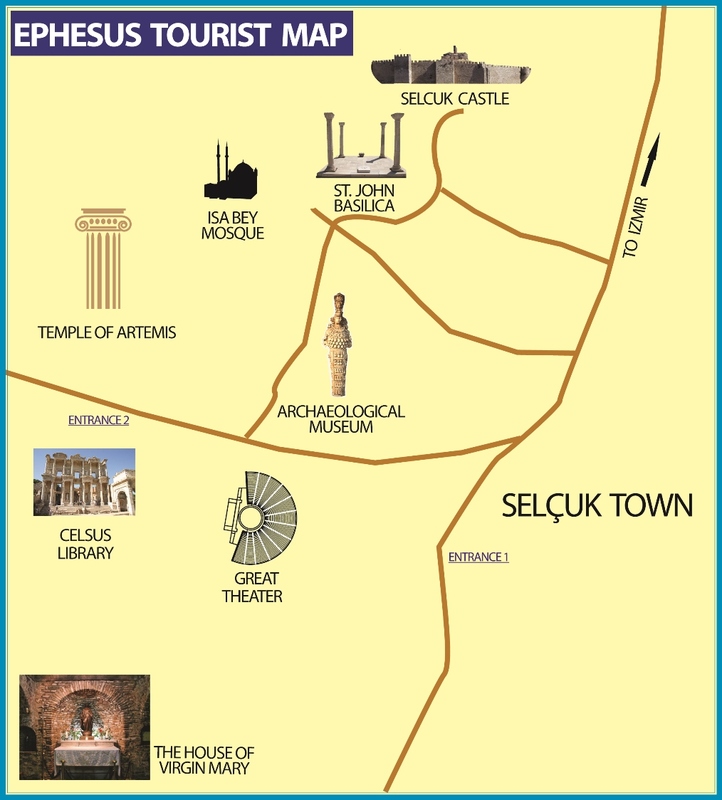 Proceed to Ephesus and see the spectacular ruins from the period of St. Paul, some of which have only recently been excavated. See the Odeon, the Bouleterion, Fountains, the Temples, the Brothel, the Library, the Agoras, the Great Theatre, the Roman Baths, the Gymnasiums. After lunch, visit Temple of Artemis, which had been built at first during the Archaic period, today it`s known one of the Seven Wonders of Ancient World.